Round neck top by Peter Hahn. 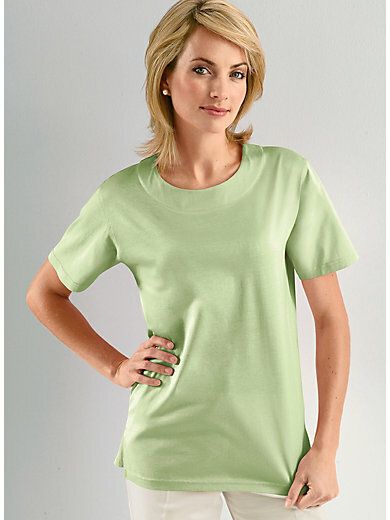 Flattering, straight style with short sleeves and side vents. Length approx. 26ins. 100% cotton. The top is machine washable.